I started recording my board game plays on Board Game Geek (yeah yeah…) in October 2008 which, the astute amongst you will notice, was 10 years ago. So what better excuse for a gaming Top 10? I’ve talked a bit recently about longevity and replayability – and nothing speaks for that more than a list such as this. Sure, these games won’t be for everyone; but if I can get 30+ plays out of them, they certainly have something! All of these titles remain in my collection, while seven of them were in my last Top 50 games of all time – including four of my top five (second place Terraforming Mars has a mere 20 plays). So yes, I realise I write about these games quite a lot – which is why here I’m concentrating purely on why I think they have longevity (follow the links to my reviews for more details on them). As always I’d love to hear your own most played games, and why they keep hitting the table for you. And finally, these games are mostly still in print, or at worst easily available secondhand, if you fancy treating yourself. If a game had multiple versions (such as Ticket to Ride) I added the plays together to get a single score. I also took a few titles out for reasons that will become obvious when you see the ‘honourable mentions’ below the main list. There’s so much going for this one. It sets up and packs down quickly and plays in well under an hour, and I have a lot of friends who really like it, so it gets asked for. There are hundreds of unique cards so the game is genuinely different every time and it is very much a tactical game: you can’t go in thinking, this time I’ll try that strategy – because if you don’t do what the cards tell you to do, you’re going to fail: perfect for replayability. Finally it’s a genuine race which adds a great tension to each play, which isn’t as common as it should be in games. All these things make it call at me from the shelf on a regular basis. Back when I was more sociable and a proper game pilgrim, hawking my games to friends’ houses to push the hobby, this was always the game of choice. I’m pretty lucky in that I still really enjoy it, while it is very much a 50-50 title with my gaming friends; but my less gamery friends tend to still like it too. It is one of Sarah’s favourites, so has seen a lot of plays at home over the past couple of years too. Again, route-building is another mechanism that pretty much guarantees a different game each time – and again, as with Race, you can’t go in with a strategy: you have to see what the game deals you. We played Dominion to death when I first picked it up, as it was one of my first purchases – and I was the main game buyer in our small group. some 39 of the 60 plays were in the last six months of 2010 after I bought it – followed by 11 in 2011. Just 10 plays in the seven years since might not suggest replayability, but this is ore down to by reticence to add any expansions to the base game. There have been loads, some very well regarded, but I don’t see enough enthusiasm for the game in my current groups to invest. But – again – I love the simplicity, the race element, and the variety the random setup brings each game. Ra taps into the part of my gaming mind that loves to read other players, as I try to work out the relative values of the current offering for each of the players. The bidding is clean and simple, the rules simple and elegant, and the game can swing all over the place – but you’re all riding the same wave, so that’s fine. You can’t ask what a good score is in Ra – it all depends on how the tiles come out. While there aren’t that many different tiles in the bag, round length can vary hugely depending on what come out; while your relative strength changes depending on your own bidding strength. An endlessly fascinating game. 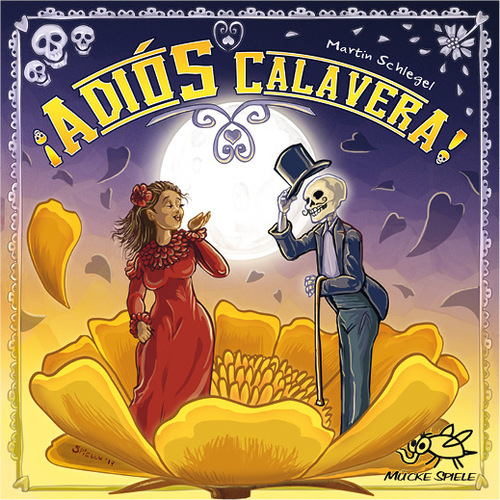 This was one of the first two plays I recorded back on my first BGG day – and it is still a firm favourite today. While I have played it with three and four players, I love it as a two-player game – and luckily Sarah has taken to it, ensuring it will thrive a little longer. It is all about reading the game state: you spend the majority of the game accumulating points, but need to spot the point at which play moves into either attack or defence mode – and that’s where the game is won or lost. Random tile draws make every game different and infinitely replayable, while again it is easy to set up and teach. Are you seeing a pattern emerging here? Like Dominion, Carcassonne saw a lot of plays in my early gaming days but has certainly dropped off since. It does tick the common boxes for replayability: quick to play, teach and setup, alongside a random tile draw that makes each game feel different. However, it has never made my Top 50 and I don’t think it ever will. I guess I’m still waiting for the version of it that really speaks to me, but I always find that either luck plays a little too much of a factor – or if it doesn’t, the experienced player will win every time. That said, I’m always happy to play most versions of it – and I still own Hunters and Gatherers, my favourite version to date. The first of two push-your-luck games in quick succession – and one that also needs your full attention as you assess your opponents’ positions. The rules are very simple and the scoring is basic set collection, but random draws that force all players to discard half their hands keep everyone on their toes – while ‘thief’ cards also keep everyone honest (as it were!). Luck of the draw can screw you, for sure, but the game is quick enough that its acceptable and just adds to the banter. One of my favourite card filler games, with a lovely recent reprint. Zoe’s favourite silly little game, so it doesn’t hit the table as much as it used to, but with the right group this is still a really good laugh. It’s a Yahtzee-style push your luck dice game where you try to get high scores to claim scoring tiles. If you fail, though, you have to put your top tile back – but if you role the exact score for a tile on top of someone else’s stack, you can steal it. This is the third Reiner Knizia design on this list (after Ra and Ingenious), which helps demonstrate that a clever mechanism invoking lots of player interaction and paying attention is what really creates longevity, rather than a gazillion set up options. This is a brilliant family game and probably the one on the list I’m most surprised I haven’t played more. There are a few fiddly rules, and it takes a full play to really grasp everything, but once you do it’s a blast. With two players it’s a highly tactical and strategic game, despite the dark comedy that ensues as you throw each other’s citizens into the lava or volcano… Each extra player adds chaos though, so whether you like that or not is going to depend on your group. 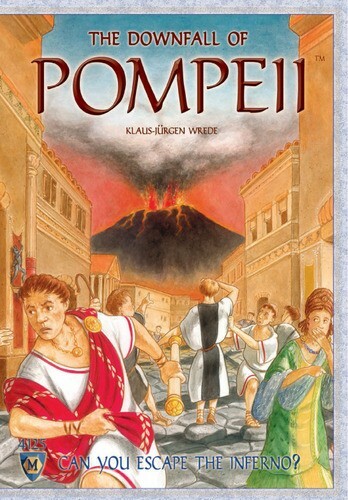 But the cat-and-mouse elements of first populating and then escaping Pompeii with your lives always works for me. The only game to make the list released in the last five years has done so largely because of how much Sarah and me enjoy the two-player version, Codenames Duet. It’s also the only word and/or party game on the list, which sees players laying out a grid of words and then trying to guess groups of them using single word clues. It’s a really clever system that rewards players knowing each other, and versions can go from two right up to 10 or so players. Despite being largely rubbish at it (a ‘three’ is rare in our games lol) we’ll often play several games back-to-back trying to beat the next two-player challenge. Actually the clear winner, but obviously not a ‘game’, per se. I dread to think what percentage of them were terrible, whether my games or those of others, but it has been a real privilege to see some of them grow from pieces of paper to fully fledged classics. I wanted to include this as it’s by far the most played game of the more recent releases (the only other new-ish release that come close is Terraforming Mars with 20 plays). It has also flown way under the radar (unlike TM! ), and it really has become an instant favourite, so I feel compelled to give it a leg-up at every opportunity! Go on, treat yourself. You won’t regret it.